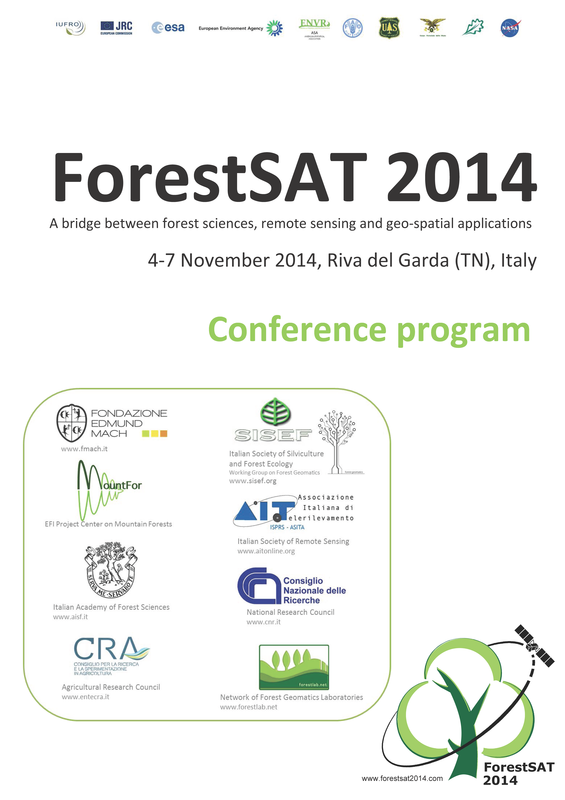 Now you can download the detailed program of the ForestSAT2014 conference. You will find it printed in Riva del Garda! 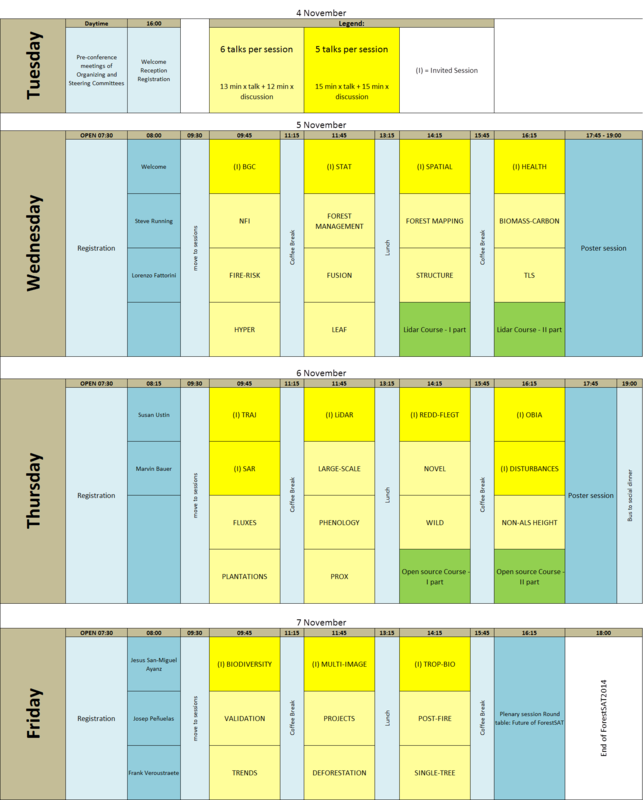 The posters at ForestSAT2014 have to be vertically oriented in a standard A0 size (1189 mm x 841 mm or 46,77 inches x 33,11 inches). 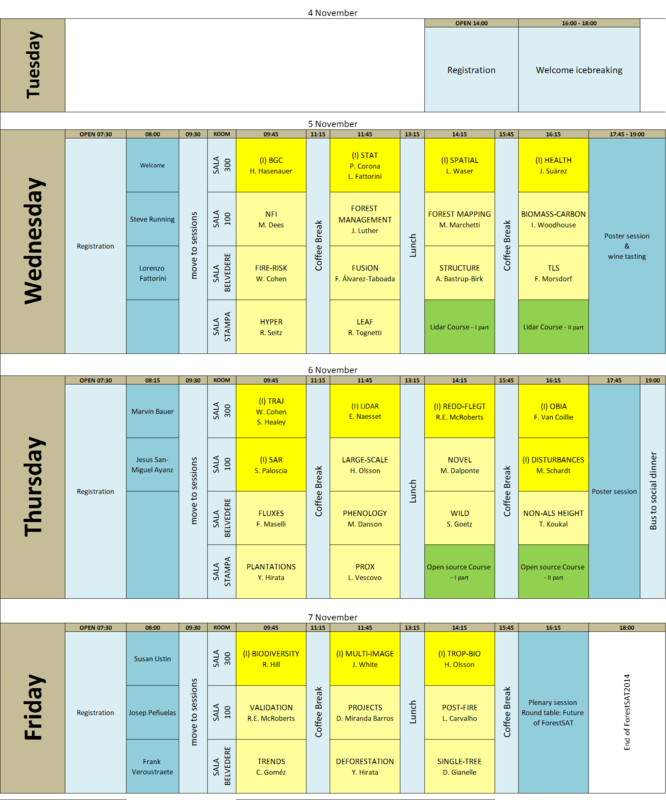 Here you can download a template (modified from http://www.postersession.com/poster-templates.php). When you print your poster please take care of using paper obtained from sustainable forest management! 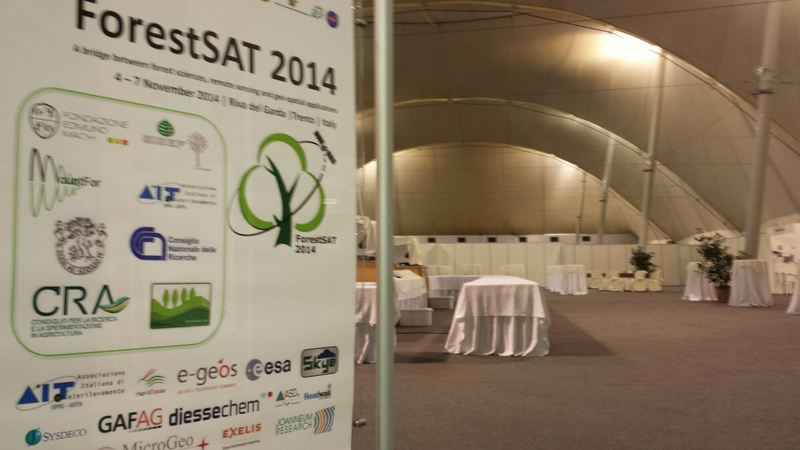 For example with a certification from FSC or PEFC. 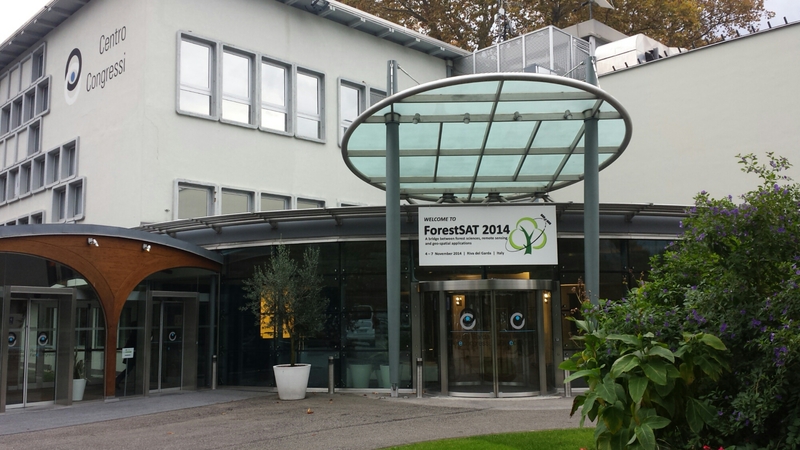 The server where the ForestSAT2014 Open Conference System is installed is currently off-line for maintenance activities. We will inform you as soon as it will be back on-line. 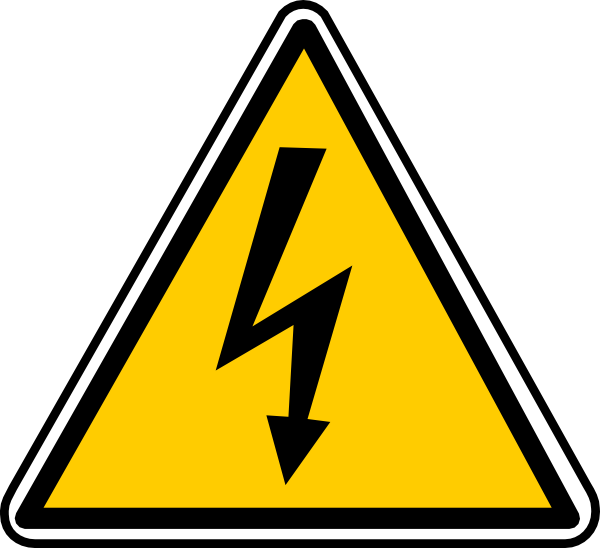 Due to some maintenance works to the electrical network the server http://ocs.agr.unifi.it may be off line in the next hours. We will post a message as soon as it will be permanently back.